CHRISTMAS is the most magical time of the year, so it’s fitting that the ultimate festive ballet The Nutcracker is coming to St David’s Hall! From the world-renowned Russian State Ballet & Orchestra of Siberia, this spellbinding production is at the National Concert Hall of Wales for nine sensational performances from Tuesday 22 December – Monday 28 December at 2pm, 5.30pm and 7pm (excluding 25& 26 December). Feel the warmth of the open fire as presents lay beneath the tree before drifting away when midnight strikes to the mysterious Land of Snow where nothing is really as it seems. Watch with astonishment as toys spring to life before your eyes, and the treacherous Mouse King battles the handsome Nutcracker Prince. In 1891, Tchaikovsky originally based his iconic score on a creepy short story by German author E.T.A Hoffman entitled The Nutcracker and The Mouse King, before it evolved into the family fun as we know it now. 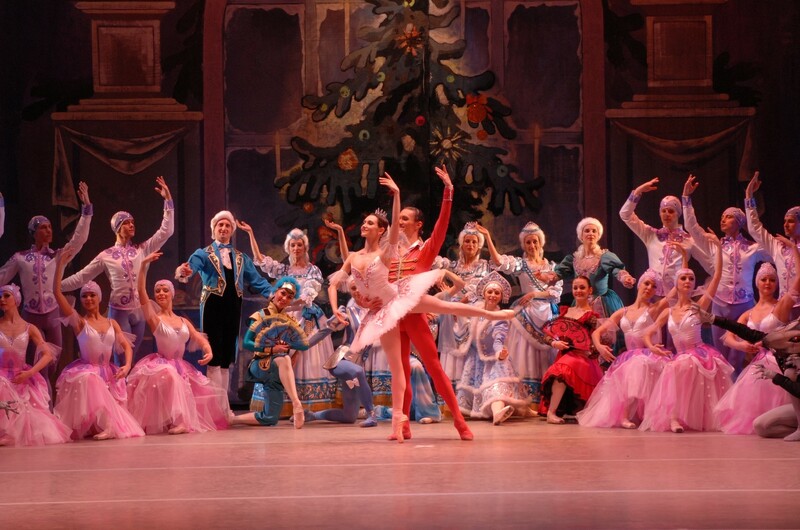 The Nutcracker is the perfect way to get in the festive spirit and is ideal for first-time ballet goers! Don’t miss it live at St David’s Hall! *All tickets are subject to an additional £2.95 Ticket Service Charge per transaction and an optional 95p postage fee).